Efficient, very helpful, curteous and friendly staff. The service is gettting better and better! 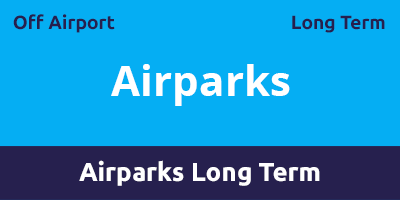 Just 12-14 minutes minutes from Luton Airport, Airparks is a safe and secure car park offering affordable parking suitable for all types of travellers. Regular transfer buses make the short journey to the terminal a quick and efficient process. Transfers run every 20 minutes 24 hours a day. The transfer time is approximately 12-14 minutes. A holder of the police-approved Park Mark Safer Parking Award; the car park features security fencing and 24-hour CCTV. All buses are wheelchair-friendly vehicles. This car park is open all year round, day and night. This car park does not accept transit vans, minibuses, motorhomes, caravans and trailers and cannot accept any vehicle with a taxi licence plate - these can only be driven by the licence holder. With roadworks taking place at Luton Airport, the return bus bays have been heavily affected by this. You will be informed of which bus bay to return to by a member of the Airparks team upon your arrival at the car park. Exit M1 at Junction 10. Take the first slip road to the left signed Airport Way A1081. Take the first exit at the roundabout signed St. Albans, Harpenden A1081. You'll come out onto a roundabout where you should take the first exit onto London Road. Go through the tunnel taking the second exit at the roundabout for the St. Albans, Harpenden A1081. After 100 metres turn right Newlands Road, following signs for Airparks. Afte half a mile turn left B4540, signposted Slip End and Markyate. and at the traffic lights turn right onto Grove Road. Take the first left onto the service road, Airparks is on the right. Drive into the car park and park in one of the arrival bays. Make a note of your lane number, take your luggage and head inside to check-in. Use a self-service kiosk which will issue a ticket that you’ll need to keep for your return. Drop your keys into the key-drop box outside reception – make sure you put them in the correct box for your lane number. Take the shuttle bus to the terminal while your car is parked for you. Staff are on hand if you require any assistance. Take the transfer bus to the car park. Head to the check-out shelter and follow the on-screen instructions (remember you’ll need the ticket you were issued on arrival) – your keys will be returned and you will be informed where your car is parked. Collect your car, head to the exit and insert your ticket. Staff are on hand if you need any assistance.